Optidrive VTC provides ease of use plus simple installation and commissioning, making it the lowest cost solution for virtually all variable torque applications. Innovative and compact the Optidrive VTC range combines good looks with robustness, reliability and effortless performance. Energy saving is maximised using the sleep mode and the automatic energy optimiser function, which reduces the motor voltage to match the load. Coherent operation using a unified control interface across the entire range and with only 14 standard parameters to adjust, Optidrive’s legendary ease of use could not be easier or quicker to get started with. For the more advanced user the extended parameter set gives access to powerful additional functionality. 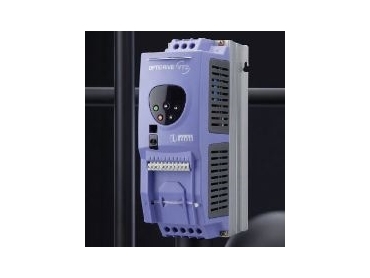 The Invertek Optidrive’s VTC optical interface allows communication with other control equipment and also with the unique Optiwand CE Plus for fast and accurate product configuration.